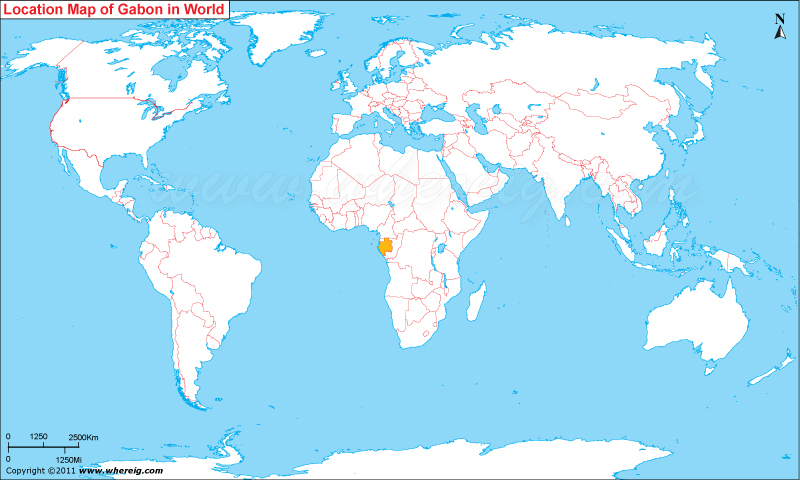 About Map: Map showing where is Gabon located in the World. The given Gabon location map shows that Gabon is located in the west central part of Africa continent. Gabon map also shows that the country shares its international boundaries with Equatorial Guinea in the north-west, Cameroon in the north, and the Republic of the Congo in the east and south. Besides, Gabon has also small coastline open into the Gulf Guinea. Libreville is the largest and capital city of the country. After the independence that it got in the year 1960, Gabon adopted a new democratic constitution that permitted more transparent electoral process and also reform several government institutions. By virtue of having oil reserves, Gabon's economy largely depends upon the oil; oil revenues contribute more than 45% of the government's budget, about 43% of gross domestic product (GDP), and approx 81% of country's exports. Besides, Manganese and iron ore are also in progress.